DAMASCUS, Syria (AP) — Preparations to reopen a vital border crossing between Syria and Jordan have been completed, setting the stage for its reopening next month, Syria’s state-run news agency said Saturday. Earlier, the agency reported that the Naseeb crossing had reopened and that the flow of trucks and transit across the border had begun. But Jordan’s government spokeswoman Jumana Ghunaimat denied the report, saying in a statement that the crossing border has not opened yet and that technical committees from both sides were still meeting to deal with logistics, technical and infrastructure issues. Shortly afterward, SANA said the border crossing would formally reopen on Oct. 10. The reopening of the Naseeb crossing would bring major relief to President Bashar Assad’s government by restoring a much needed gateway for Syrian exports to Arab countries. Rebels seized control of the crossing in 2015, severing a lifeline and disrupting a major trade route between Syria and Jordan, Lebanon and the oil-rich Gulf countries. Syrian troops captured it in July this year after rebels reached an agreement with Russian mediators to end the violence in the southern province of Daraa and surrender the crossing. The fall of Daraa and recapture of Naseeb marked another victory for Assad’s forces and signaled the return of his forces to the province where the uprising against him began seven years ago, following successive military victories across most of the country with the help of powerful allies Russia and Iran. The Naseeb crossing is of particular importance as it constitutes an important economic artery for the neighboring countries. It is the only outlet that links them with foreign markets for their agricultural products. “The opening of the crossing would positively reflect on all neighboring countries,” said Abdul-Qader Azzous, a Syrian government advisor, adding it would benefit both Syria and Jordan by activating mutual trade. The Syrian government would also collect transit fees from convoys coming from Jordan. A few days ago, the Syrian ministry of transportation increased fees for empty and loaded Syrian, Arab and foreign trailers crossing Syrian territory. 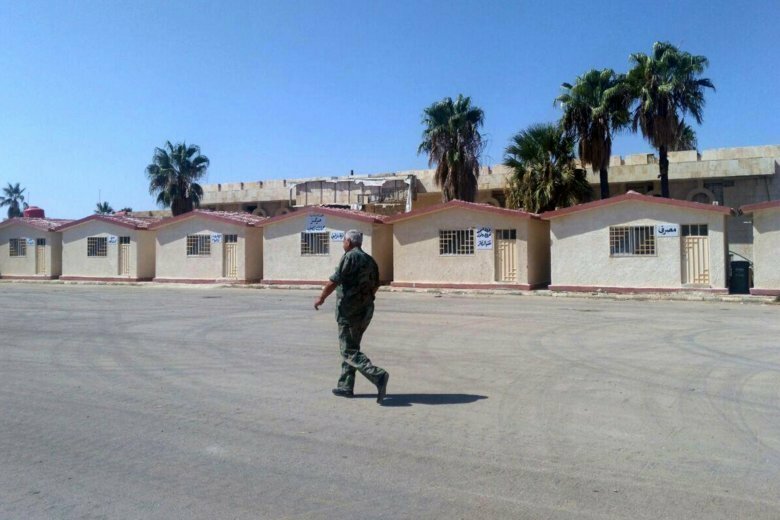 The Hala Akhbar news website, linked to Jordan’s military, said preparations to reopen the border crossing with Syria were still underway. Associated Press journalist Omar Akour in Amman, Jordan, contributed to this report.